ConversationalCRM can handle many thousands of accounts (tested to over 100,000). You can add custom fields (string, dropdown, number) to accounts. 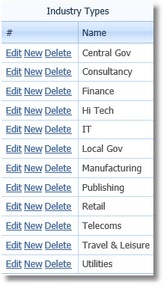 You view your accounts using a powerful grid where you can add, delete and change the order of columns. 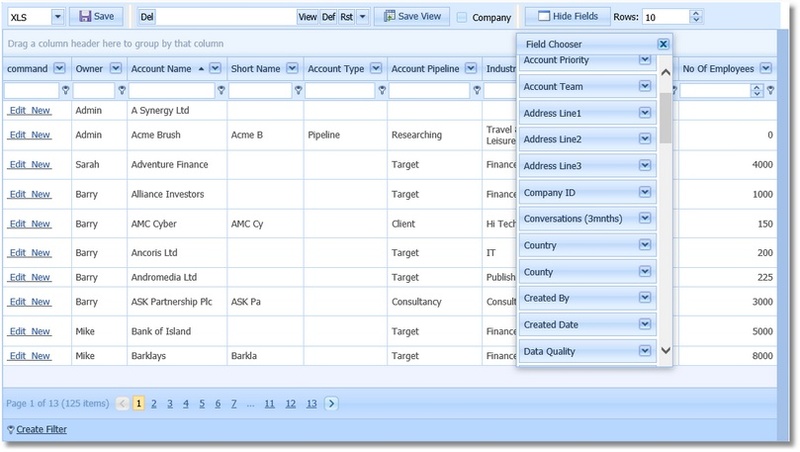 You can filter the view using simple column dropdowns or by using the full filter builder. You can save views of the grid and set one as your default. If allowed, you can export the grid in several formats. 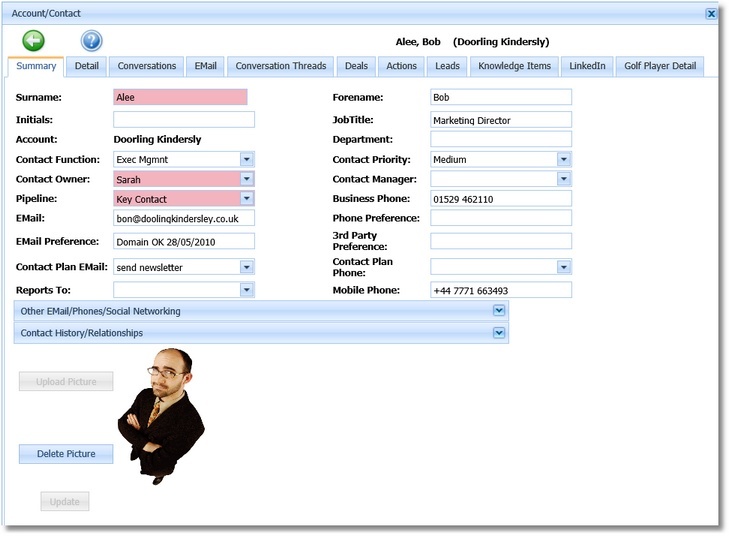 ConversationalCRM can handle many thousands of contacts (tested to over 500,000). You can add custom fields (string, dropdown, number) to contacts. 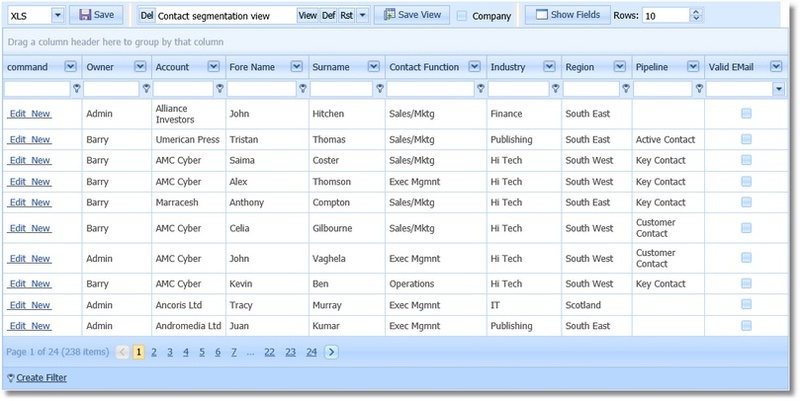 You view your contacts using a powerful grid where you can add, delete and change the order of columns. ConversationalCRM supports the concept of leads. 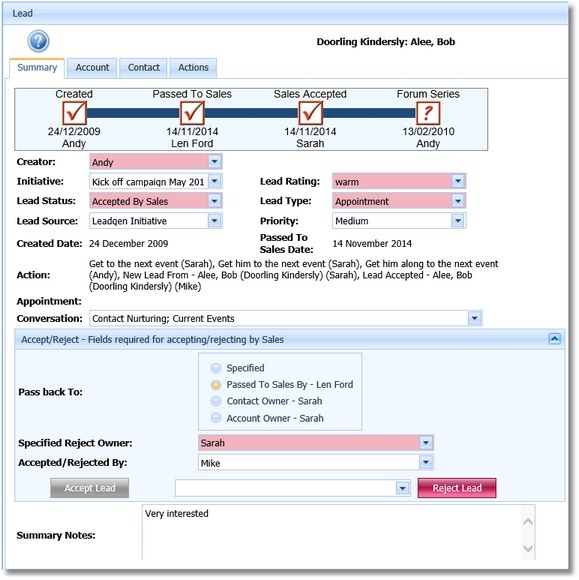 Leads have a workflow to hand over a lead from telemarketing to sales. 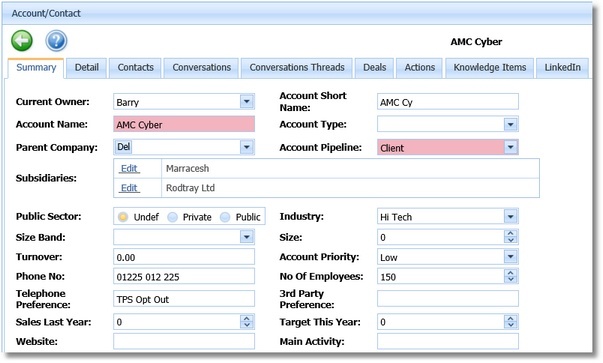 ConversationalCRM also supports ‘interest’ which are a precursor to a lead. These come from web forms, exhibitions and any other marketing initiative and must be qualified to convert them to a lead. 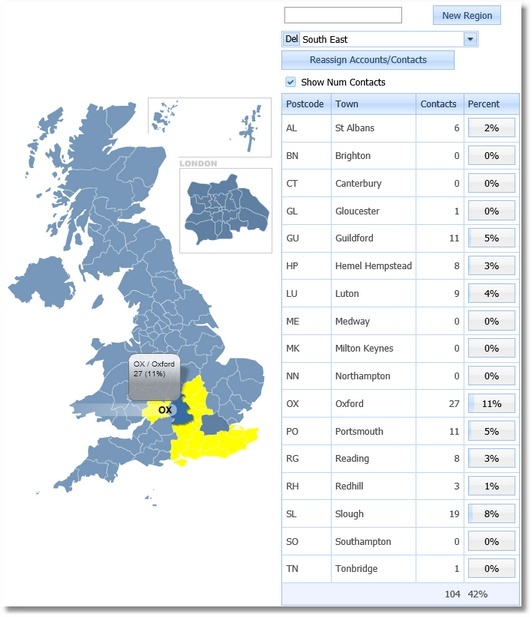 You can segment your data in many ways to use to give to telemarketing or to use it to send bulk emails. 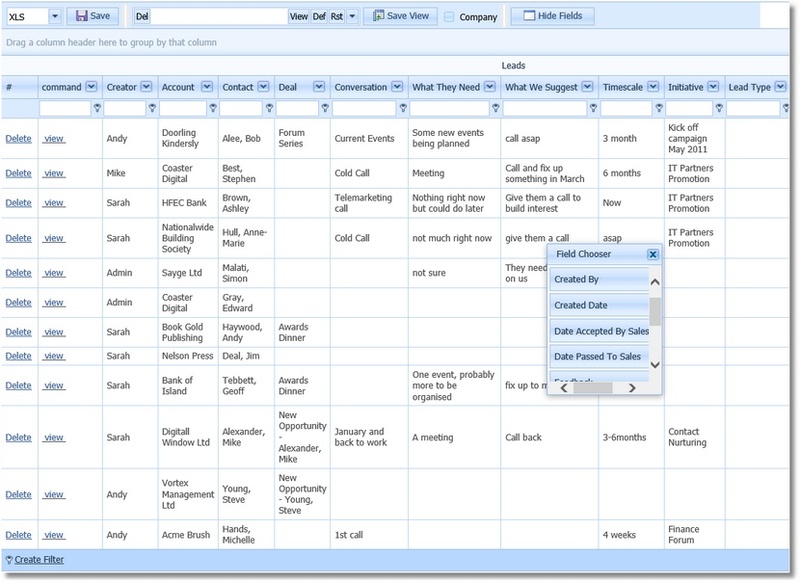 You can form lists by specifying a query (using a query builder) or by converting a grid view to a list. 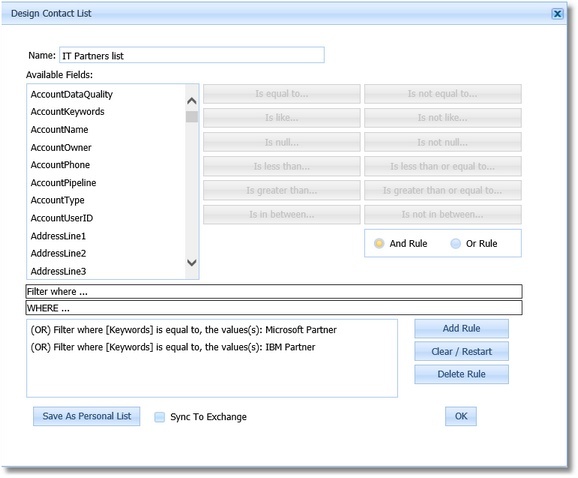 All values for segmentation parameters, such as Industry, Region, Size Band etc., are configurable.